I went to look at cacti and spotted Seung Gi Oppa. Categories: CF, fan signing, fanvideo, filming, Instagram, sighting, translation, Video | Tags: CF, Fan cam, instagram, Jeju Island, sighting, video | Permalink. 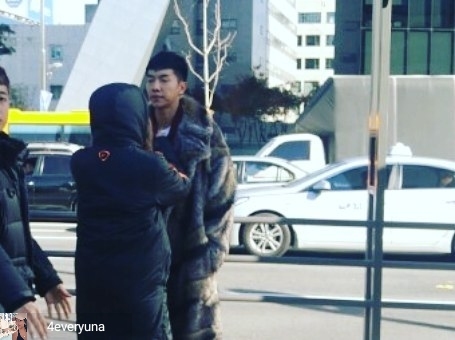 According to her post, Seung Gi was spotted filming this afternoon in Samseongdong, Gangnam, as she and her friends were having brunch at the COEX. She mentioned that he is handsome as ever. Categories: Drama, fan signing, fanpic, filming, Hwayugi, Instagram, Photos, sighting, translation | Tags: fanpic, filming, Hwayugi | Permalink. 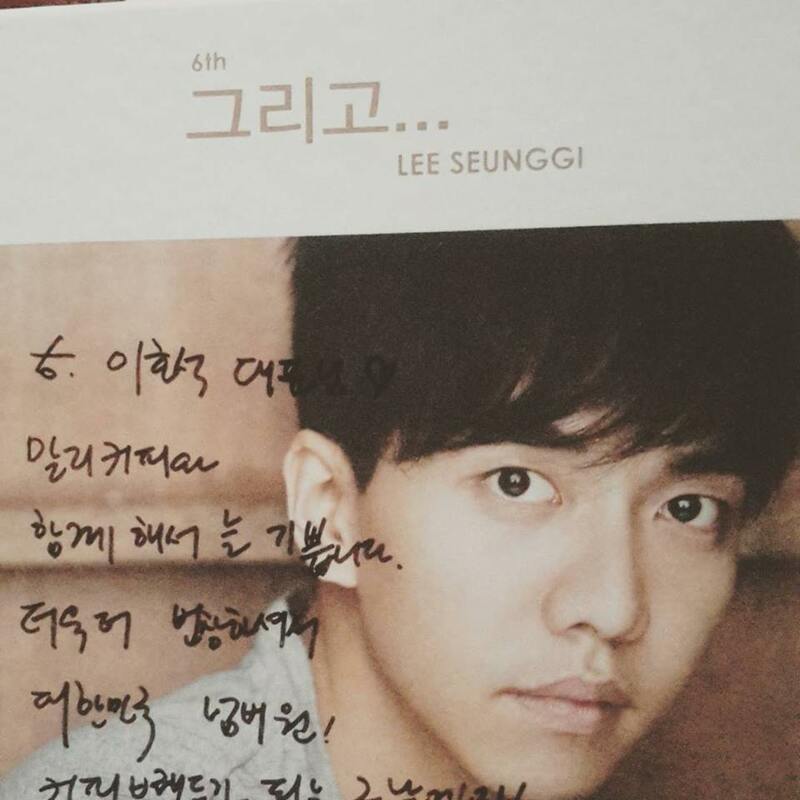 Hosuk Lee, CEO of Marley Coffee Korea, received an autographed 6th album along with a message from the brand’s model, Lee Seung Gi. Although the bottom is cut off, I will translate what is visible and most likely the entirety of the message. 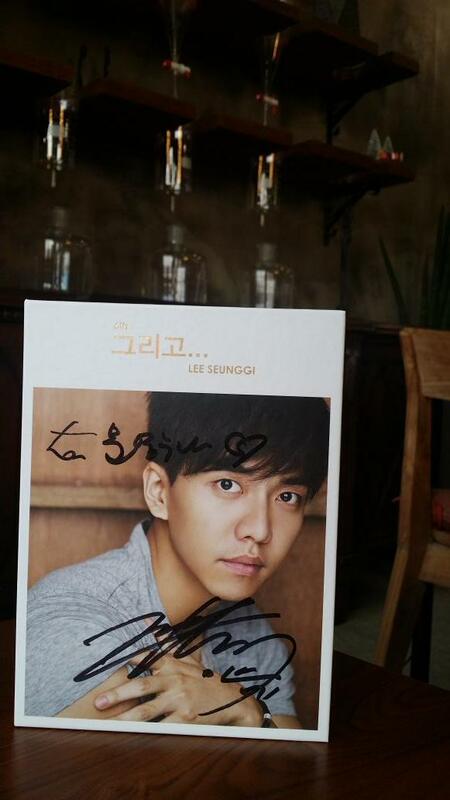 Gift from Marley Coffee Model Seung Gi-sshi. I’m always happy being with Marley Coffee. Prosper even more and become Korea’s number one! Until the day comes when it becomes (Korea’s) brand of coffee! Categories: Audio/Album, Coffee, fan signing, fanpic, Photos, translation | Tags: 6th album, Autographed Album, Hosuk Lee, Marley Coffee | Permalink. Always be happy and continue to give love to Fun Fun in the future! Categories: Audio/Album, fan signing, fanpic, Instagram, Photos, translation | Tags: 6th album, And, Autographed 6th album, fanpic, Fun Fun Today, Kim Young Chul | Permalink. 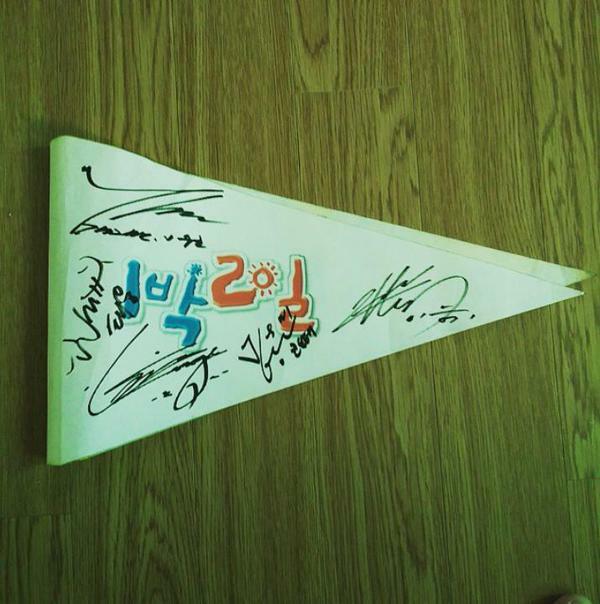 A fan uploaded this photo of a 1N2D Season 1 flag autographed by Seung Gi and other cast members on SNS. 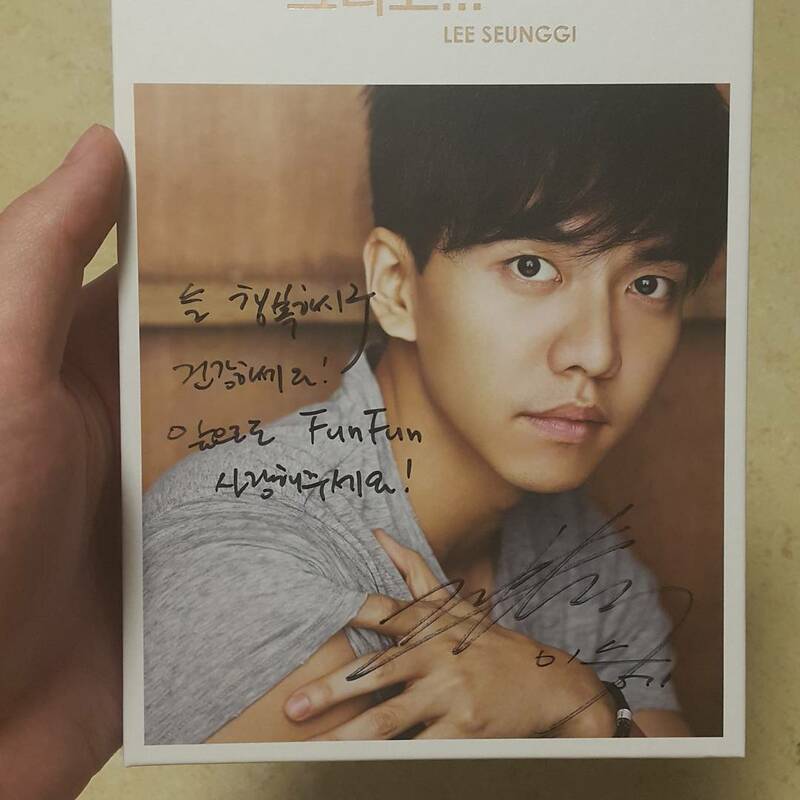 “Autographs I received from 1N2D members in the past. Categories: 1N2D, fan signing, fanpic, Instagram, Na PD, Photos, souvenirs, translation | Tags: 1N2D Season 1, autograph, fanpic, instagram | Permalink. Categories: Audio/Album, fan signing, fanpic, Photos, translation | Tags: Autographed 6th album, fanpic, sgeyelashes, translation | Permalink. Message: Always be happy and healthy! Ha! I succeeded! I’m a successful fan! Categories: Audio/Album, fan signing, fanpic, Instagram, translation | Tags: 6th album, And, autograph, fanpics | Permalink.